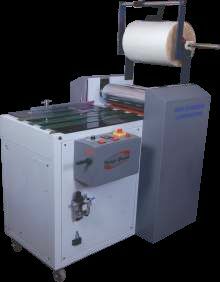 We are a well known Manufacturer, Supplier and Exporter of Digi Thermal Lamination Machine. Our Machines is the best choice for giving optimum finish to digital prints. The Lamination Machines we make available consist of oil filled heat stress rollers and silicon pasting roller with pneumatic even pressing. Courtesy our brilliant logistics network, we are capable of delivering bulk orders of the Machines within the allocated time.